PURPOSE OF THE PROJECT: To provide a platform dedicated for students, that allows to prepare for the final exams of the given teaching stage. SOLUTION: to create a dedicated system for creating and solving sets of tasks. 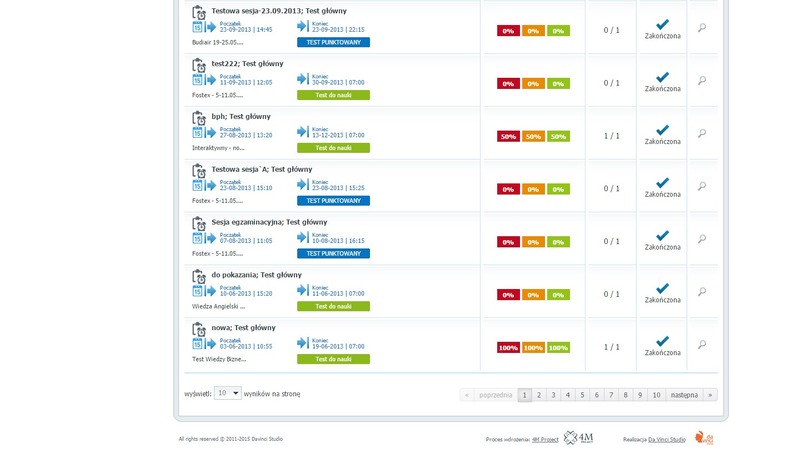 The system allows to create single-choice and multiple-choice tests. Each question may include multimedia resources in the form of pictures and sounds. Also the answers themselves can be in multimedia form. The question editor also allows to insert advanced mathematical formulas and equations. The application was developed by a team of four developers – two involved in the preparation of the REST API and two front-end developers responsible for the development of the mobile version built with the use of Cordova platform. The client application was developed in the AngularJS framework, which greatly facilitated its migration to both iOS and Android platform, and greatly improved the market take-up of the application itself. To build API, the Symfony2 framework combined with MySQL and Redis databases were used, which has resulted in improved architecture, performance, and stability of the whole application. The whole is completed by Ansible, which is used to both: to manage the condition of the server and the process of implementing changes in the production environment. PURPOSE OF THE PROJECT: To create a gamification system for the client in order to create team competition in the company, through a game available to company employees. SOLUTION: A dedicated system in which the access for outsiders was blocked, only people from the company with the account in the internal system could log in and participate in the competition. 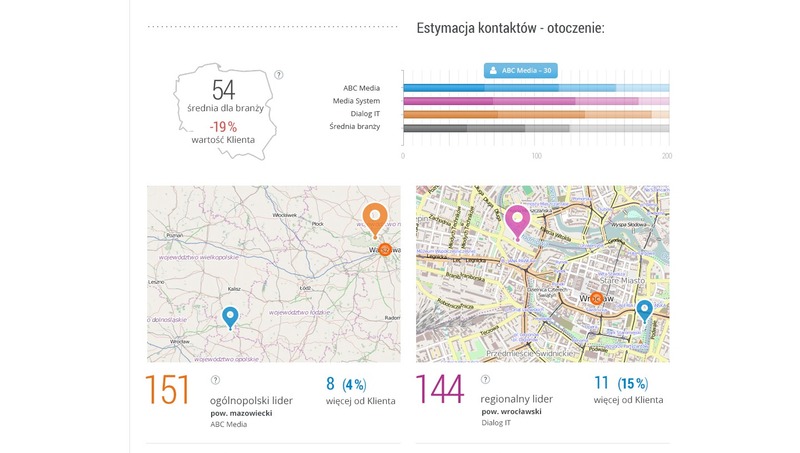 Thanks to the connection with the bank system – the system identified the user by retrieving the data from which city and branch he or she comes from, thus giving the possibility to compare results between cities and branches. The whole game and system has different levels of availability. 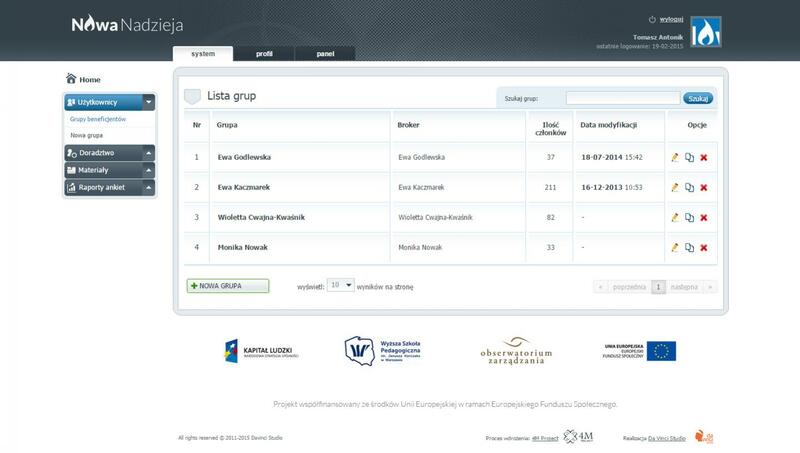 An example is the access for managerial staff that have the ability to preview the results of their teams. 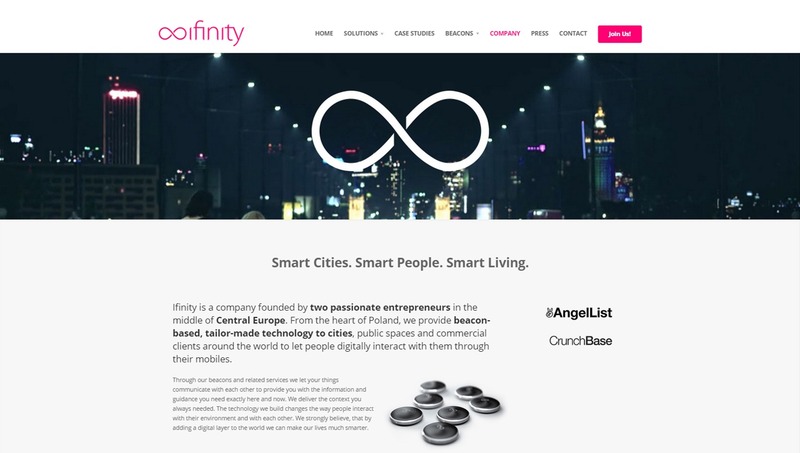 CLIENT: Antyweb – website for new technology enthusiasts. PURPOSE OF THE PROJECT: To create a service designed in line with the “mobile first” philosophy and with the principles of full responsiveness. SOLUTION: A website for new technology enthusiasts. 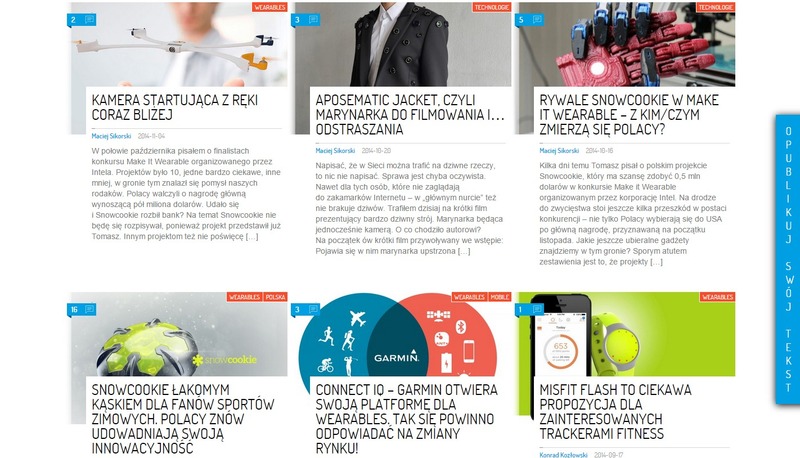 Every day the team of editors prepares new posts about technological novelties. 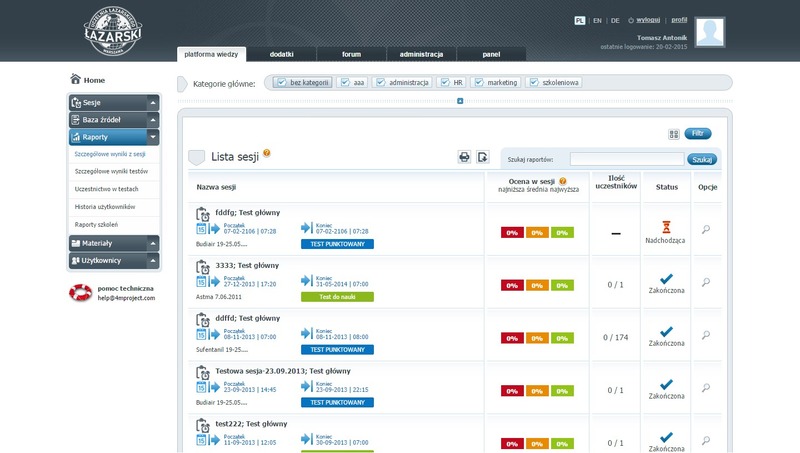 The service is designed according to the “mobile first” philosophy and respects the principles of full responsiveness. On the page, users can create accounts and comment selected posts. The page has very innovative layout, and many interesting front-end solutions. There are a few accounts for redactors, moderators and admin created from CMS. PURPOSE OF THE PROJECT: To create an application enabling football coaches to manage the training of children and teenagers. The application dedicated to football coaches enabling detailed planning of individual trainings in a manner corresponding to performance and abilities of individual participants. With access to the online platform, coaches in a convenient and efficient manner can create and modify individual training summaries for the selected age category. Also a number of tools introduced in the application raise the quality of actions and provide the opportunity for both coaches and training participants to have current knowledge about individual achievements. PURPOSE OF THE PROJECT: Creation of dedicated software to facilitate human resource management in a construction company. Dedicated system for company resources management in the construction industry, which enables the administration of workers from outside the country, and offers a wide range of possibilities to control the rotation of documents required for hiring foreigners. 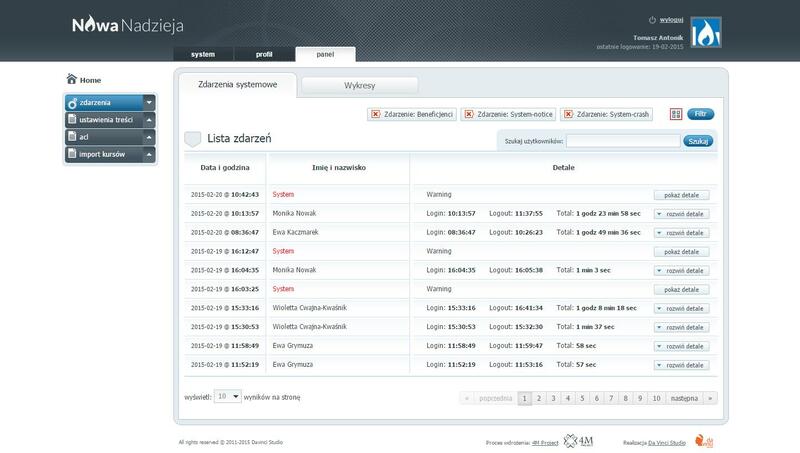 The system also gives the ability to manage company’s finances on the basis of employees’ work time tracking. The enterprise order module provides current knowledge of current work and supports the process of workers movement between workplaces. 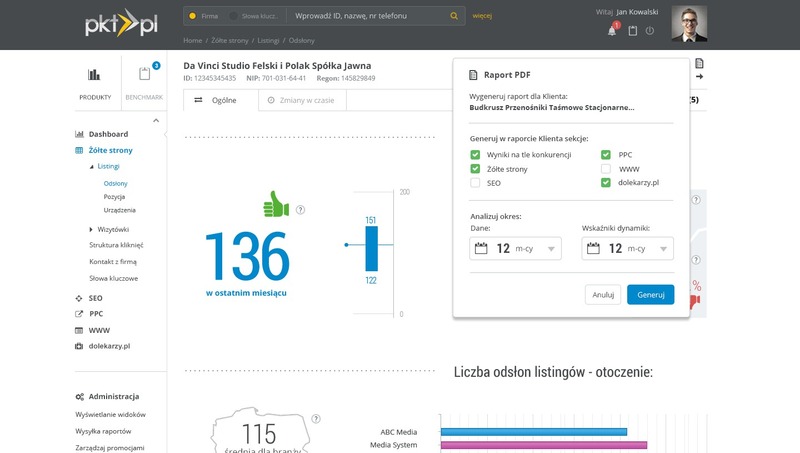 Implementation of the application enabled the optimization of the employee management process in the enterprise and allowed for a more accurate control over the rotation of employees, their time and the quality of work. 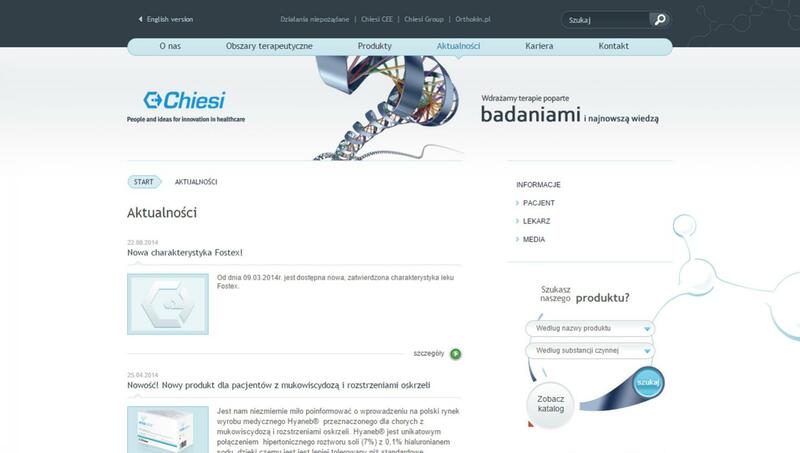 CLIENT: Chiesi – pharmaceutical company. 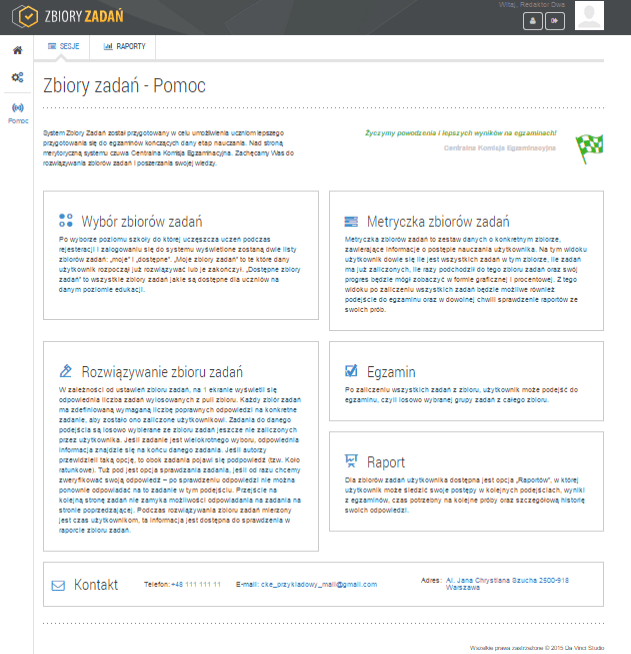 PURPOSE OF THE PROJECT: Creation of a website for the company. 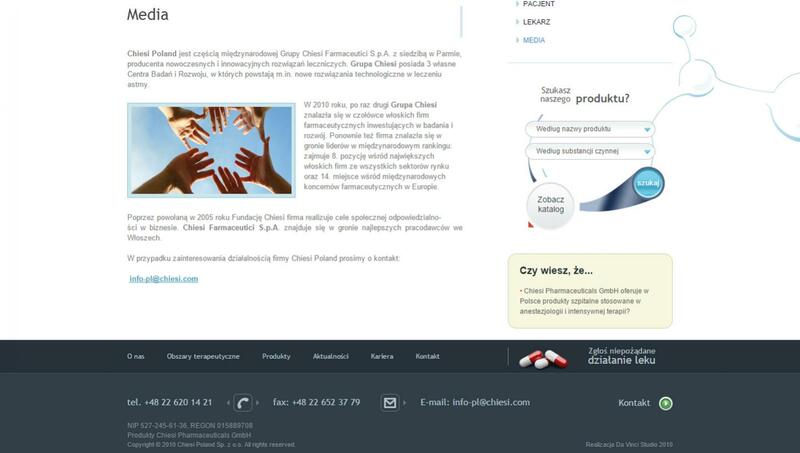 SOLUTION: Website of Chiesi Pharmaceutical company. 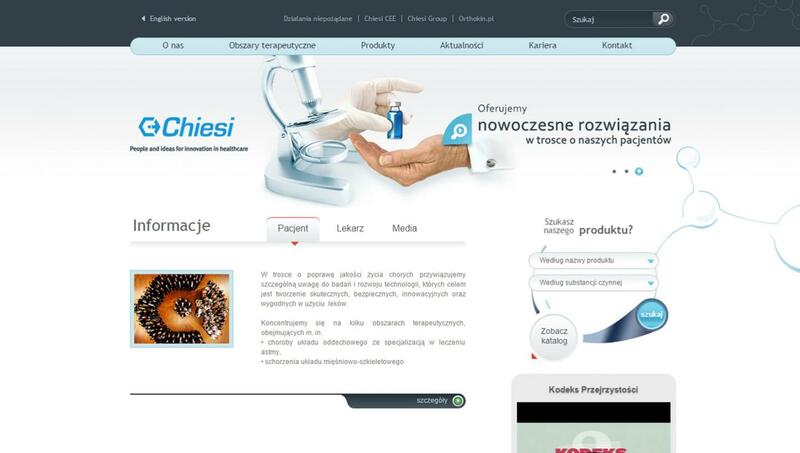 The site presents information about the company and its products. It is also a part of the communication strategy with customers. CLIENT: Develey – the biggest producer of mustard and delicatessen cold sauces in Europe. PURPOSE OF THE PROJECT: To create a dedicated website supporting the promotion of the company through loyalty campaign. SOLUTION: The service supports the promotion of the company through loyalty system. 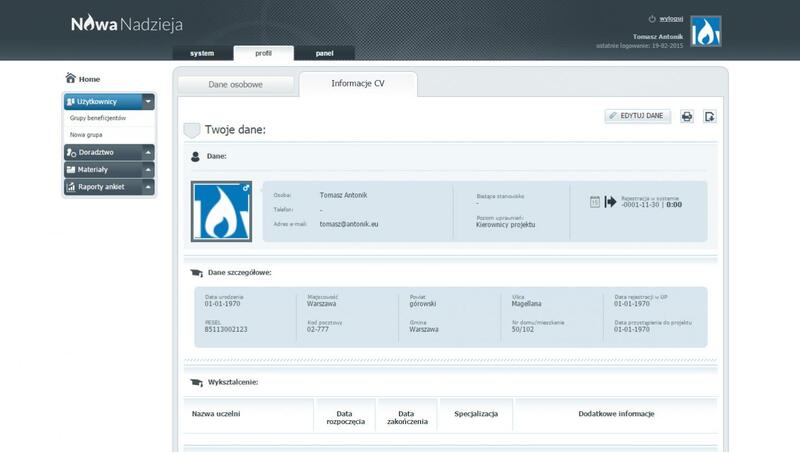 After logging in, the users can register the codes that are attached to the products. Thanks to the codes they collect points and then redeem them for prizes. Besides the codes for purchasing a product, users can collect points for various quizzes and contests organized on the website. The management panel is equipped with code generation, the option to collect user data, statistics, to activate the stores on the interactive map and to verify prizes. In addition, there is an application for the company’s representatives, that is integrated with the system and thus the codes are activated and linked to products and stores. CLIENT: Nowa Era – leader in the educational publishing market. PURPOSE OF THE PROJECT: To create an IT platform supporting knowledge management. 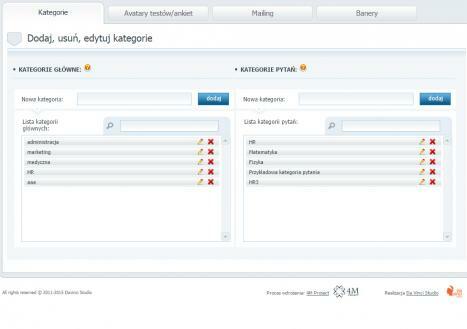 IT platform supporting knowledge management – KMS product extended with additional mechanisms. 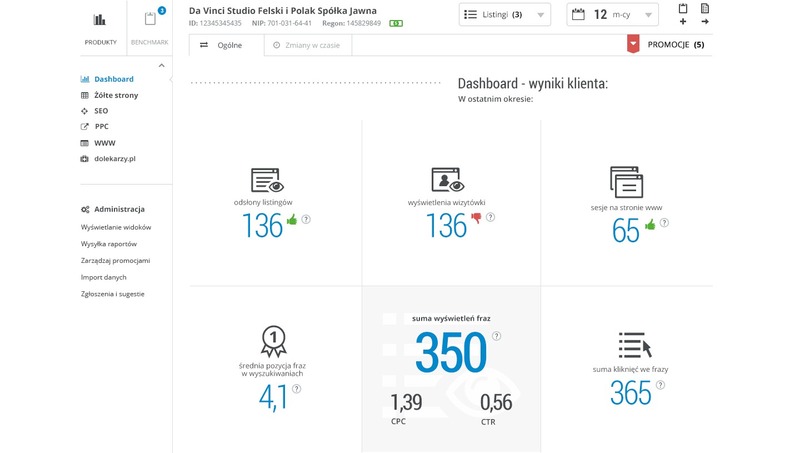 The most interesting module by which the platform has been extended is the module for managing stationary trainings, recording of the users involved in training and full reporting of all trainings. This system has also been enriched with a special glossary of terms, helpful when it comes to tests. By using ACL, you can easily restore the organization structure and, depending on your needs, organize mass mailings to selected individuals or groups from the database. Due to the need of the Client, an additional Active Directory login system has been created. That system allows users to log in to several systems on a single credential. RabbitMQ solution speeds up the tests completing and their saving process, which work efficiently, when there are many users in the system at the same time. 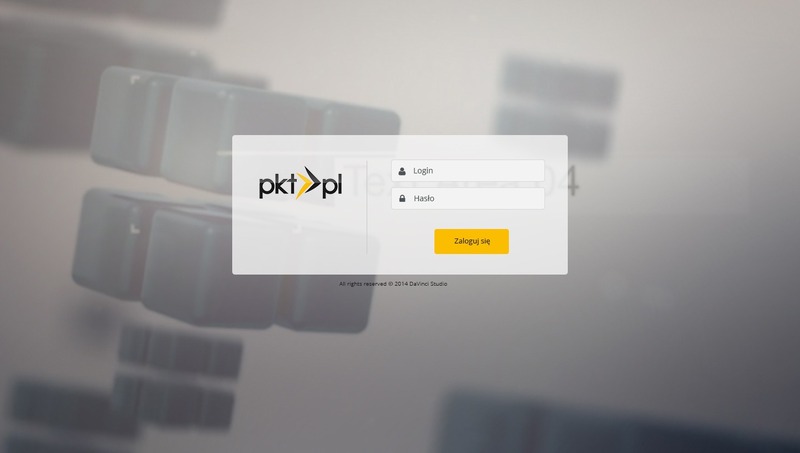 CLIENT: PKT – nationwide company directory. SOLUTION: The system has a panel of consultants to help them see results, compare performance, analyze trends and behaviors while using individual tools. One of the goals of the project was to optimize the process of importing data to the application because the tool is based on cyclical extracts from several data warehouses. The import was designed to run quickly and to not interfere with current work of the system users. 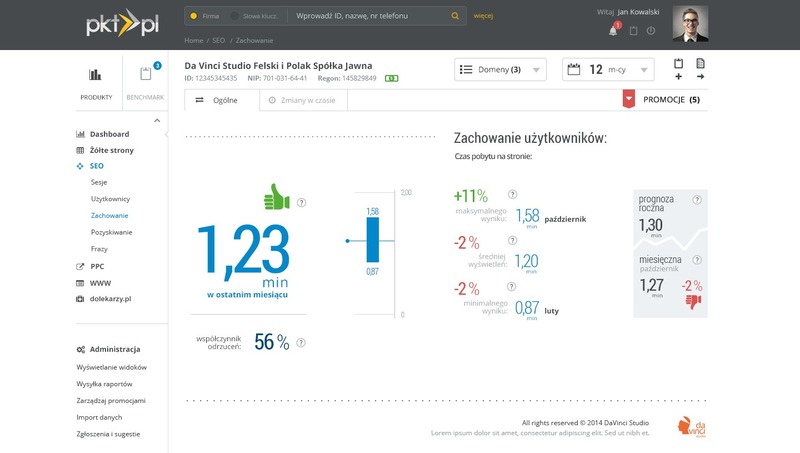 The panel of consultants, besides of the function to check the results of products purchased by customers, can compare them with the results of other companies in the same industry or similar location. 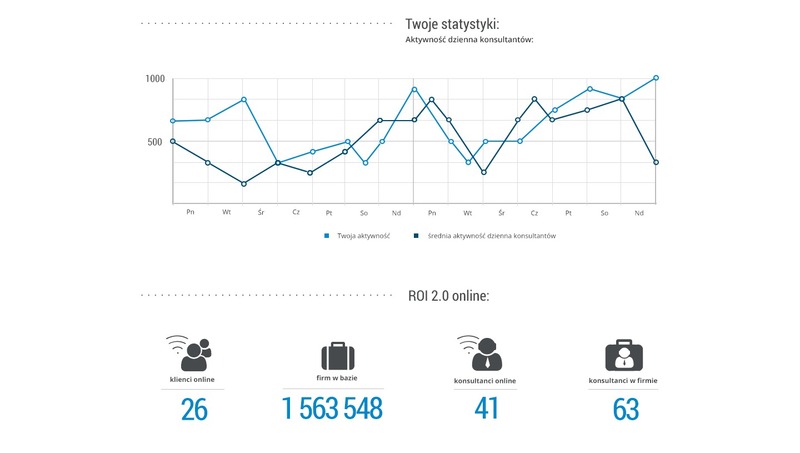 The system has been developed to improve the work of the consultants so they can easily and quickly find the data they need, the available promotions, and complete statistics, such as the number of views, inputs, contacts with the company and much more. 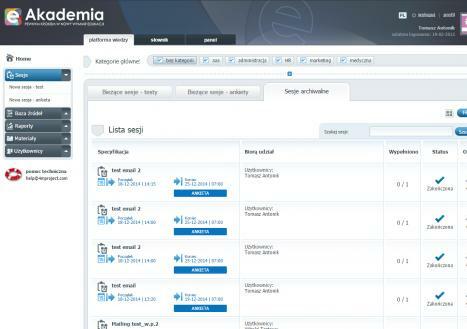 For the future, we plan further modules for the tool, including the customer panel and the modules supporting processes in the company. PURPOSE OF THE PROJECT: Creation of a tool enabling surveying, reporting and profiling of participants in negotiation workshops in business. THE SOLUTION: Creating an individually designed solution in the field of negotiation coaching. 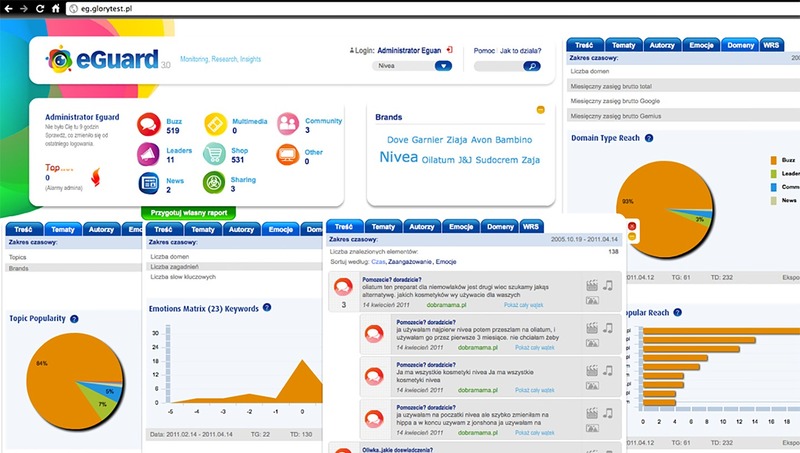 The tool gives the ability to create and manage a user database and to survey them. It offers creating forms, conducting the survey process and managing user results, as well as the possibility of their interpretation and reporting. 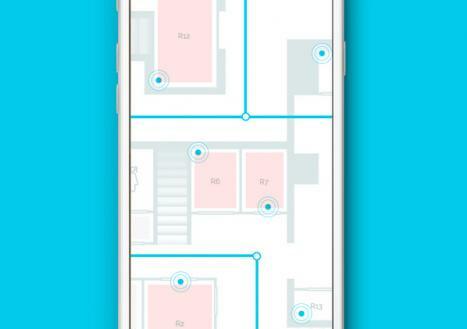 PURPOSE OF THE PROJECT: to create a system for managing buildings and rooms, with integration with beacons and with an intuitive panel for creating actions and events for users. 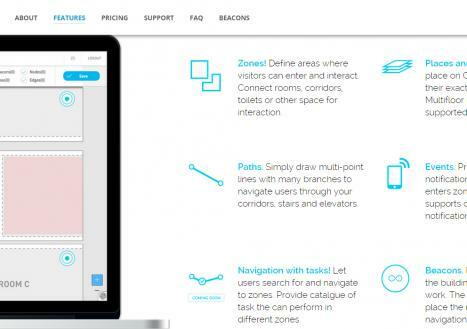 SOLUTION: Dedicated system for buildings and rooms management, with integration with beacons, and with intuitive panel used to create actions and events for users. 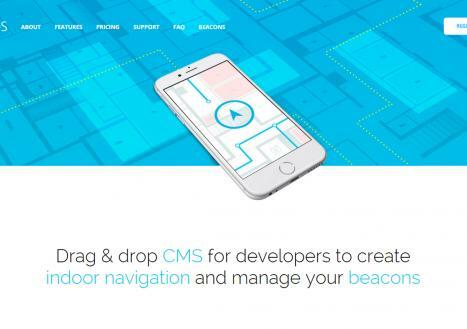 The panel using drag & drop method allows to create rooms, navigation paths, to hook up beacons, plan user experiences, and send notifications and relevant context information. 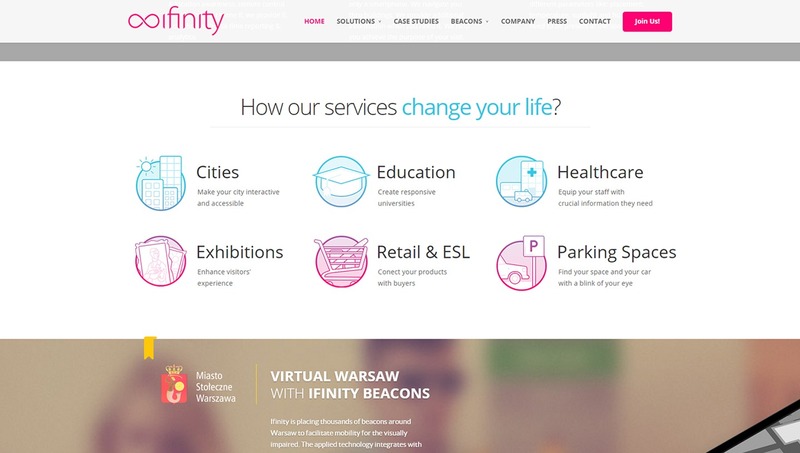 PURPOSE OF THE PROJECT: to create a modern website for the Ifinity startup. 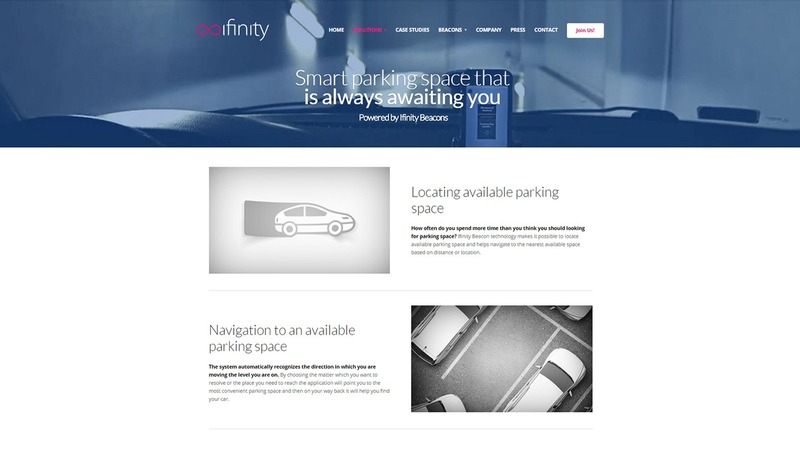 A modern website for the Ifinity startup. 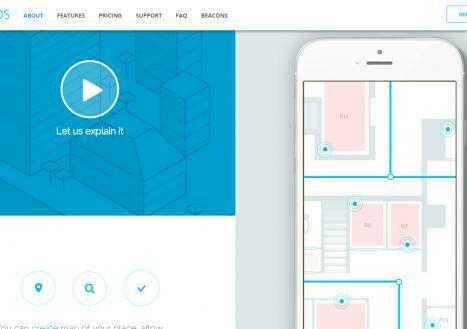 Responsive website with interesting front-end solutions. 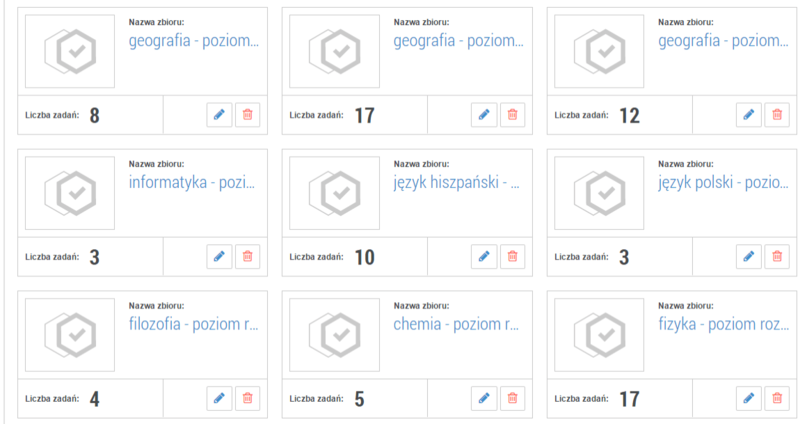 The page contains e-commerce module for ordering beacons. 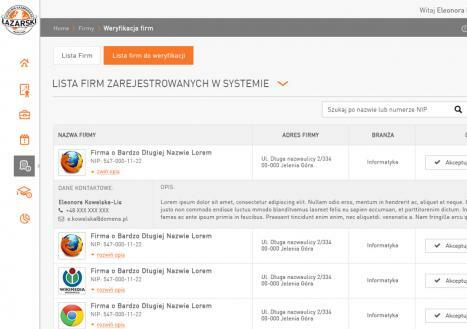 CLIENT: Butyk – online store. PURPOSE OF THE PROJECT: To create an application for Facebook. SOLUTION: Facebook application, in order to use it the user was encouraged to like the client website. In the application, the users browsed currently available models of shoes, chose the ones they liked and then explained why they should win them. Moderator from the admin panel read the post and had a preview of the selected model of shoes. Once a week he/she chose the winner and published the results on the fanpage. The application had been created in several languages and enjoyed huge popularity among the users due to its friendly flow and attractive prizes. PURPOSE OF THE PROJECT: To create a system for monitoring, analyzing and evaluating the behavior of users (communities) on the Internet, on social media, forums and websites. SOLUTION: Software dedicated to monitoring, analyzing and evaluating the behavior of users (communities) on the Internet, on social networks, forums and websites. CLIENT: Dotmedia is an innovative company, which in order to provide comprehensive service to Customers, is both an advertising agency, a large format printing house and a producer of ready-made POS materials. PURPOSE OF THE PROJECT: To create an extensive system dedicated to printing house management and contractor relationship management, which is available online from any place where the user has access to the Internet. Bespoke software, designed for printing house management and contractor relationship management, available online from any place where the user has access to the Internet. This system is dedicated to medium and large printing houses, so it has modules for warehouse, ordering and production management and module for work organization together with distribution of tasks to employees. 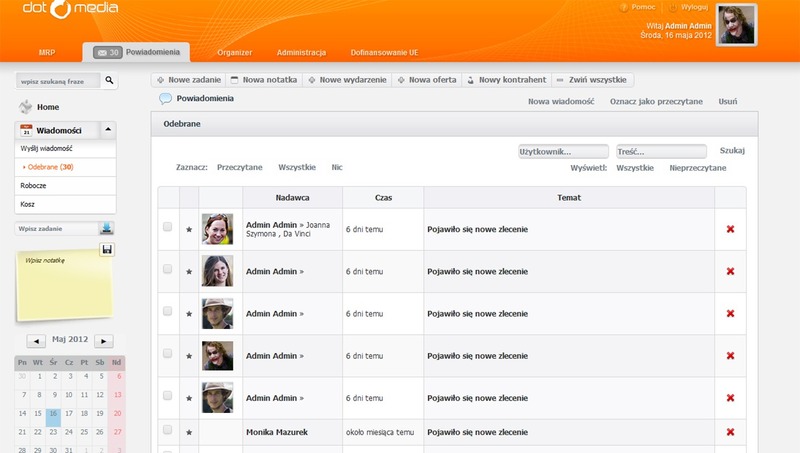 Complementarity of the system is confirmed by CRM module, which is used to manage customer relationship. The system was designed and co-created with the active participation of Dotmedia printing house, so we are sure that the solutions we have prepared are “made-to-measure”. Each process has been deeply analyzed and improved. CLIENT: Lazarski University – non-public university founded by Ryszard Łazarski in 1993. The university educates lawyers, economists, financiers, businessmen, administrators, politicians, and diplomats. PURPOSE OF THE PROJECT: To create a modern platform for publishing job advertisements, practice offers and events. 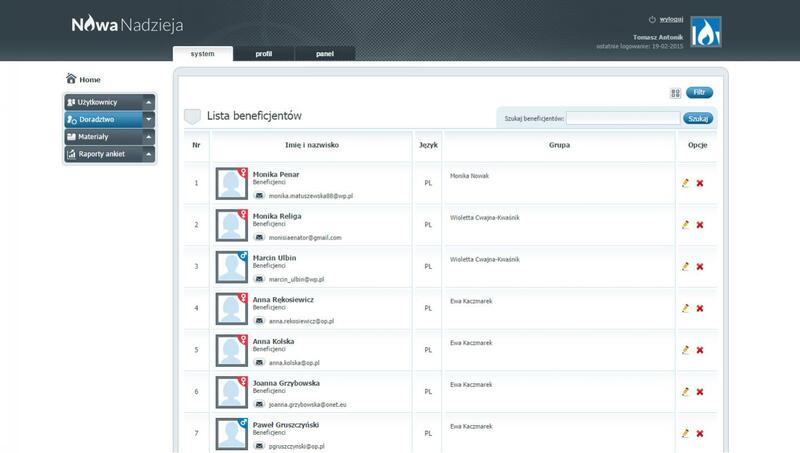 A system with a division into candidates’ accounts. They have access to the ads, the possibility of applying, adding their CVs and generating them as a PDF file. The candidate, after verification, receives an e-mail about the completion of the recruitment and its result. On their accounts employers can add new ads, verify the candidates and select future employees. On his/her accounts, the administrator in addition to adding ads as a university, has full control over the users and can verify the data, and add classifieds. 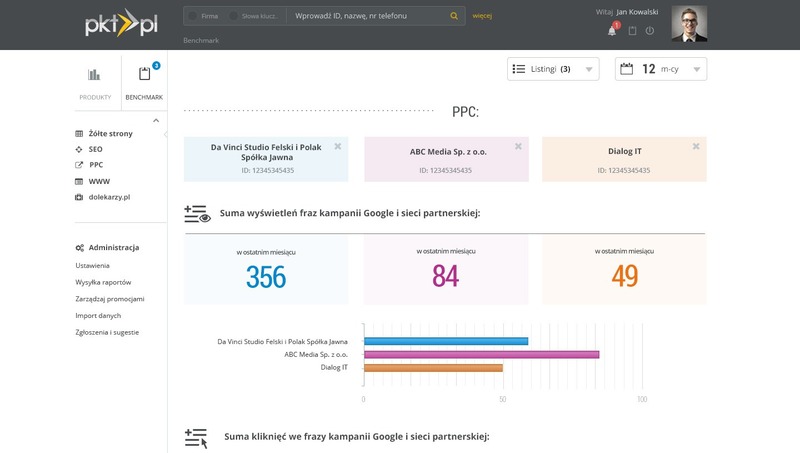 The administrator decides which ads will appear on the page, and which will not, they also determine which of them will be highlighted. PURPOSE OF THE PROJECT: To create an application supporting the reduction of barriers in access to education for the inhabitants of the Górowski district. A tool through which users can gain insight into the educational brokering process, their personal and professional data and information about advisory progress, while brokers can gain fast and efficient advisory services. The main purpose of the application is to manage the relationship with users and support the work of brokers. The application includes descriptions of the professional roles associated with the qualifications and competencies, competence tests, a database of 2000 training courses and courses assigned to the relevant professional roles. 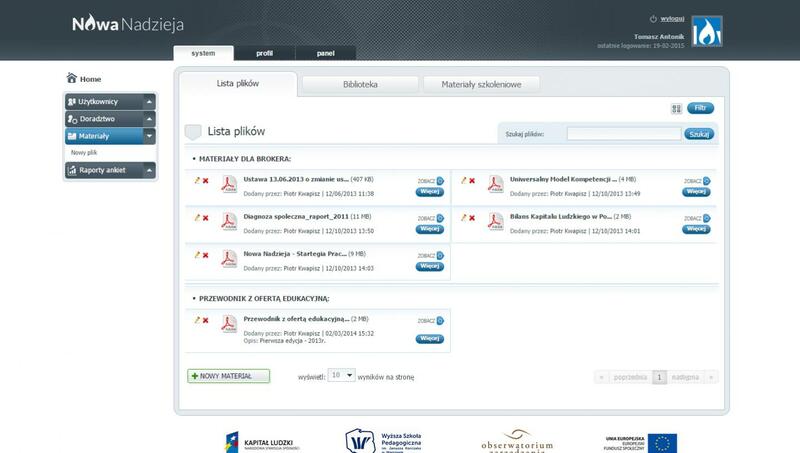 PURPOSE OF THE PROJECT: Creation of a dedicated knowledge management system at the University. The system, which consists of e-learning, test and survey modules from the KMS product, also contains Syllabus model that is available for the lecturers. During the creation of the platform, the integration with IP board forum was made. 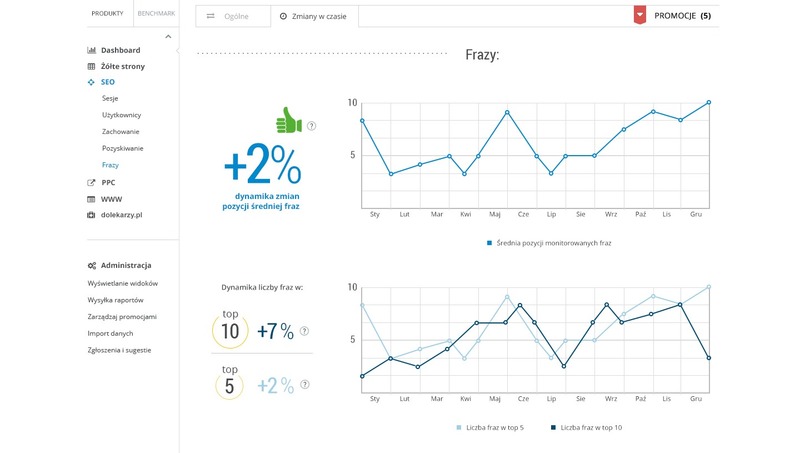 Personality questionnaires were created for the users, thanks to which after filling them, the users get the result for further use. It also provides professors with the option of adding their achievements to their profile. 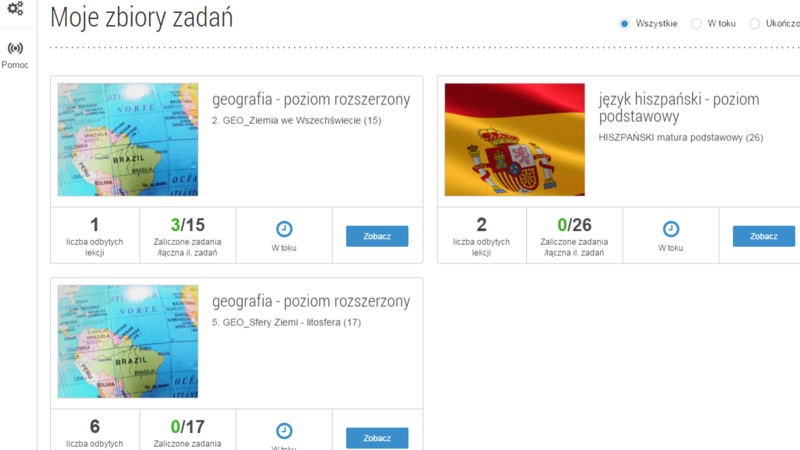 The platform also includes integration with an external database of students, professors and workers. All users and their access can be verified by the administrator thanks to the access control list – ACL. testing, materials and surveys it has been extended by a communications system “cometchat”. and even organize video conferences. reporting individual surveys with the possibility of exporting them to PDF or CSV. 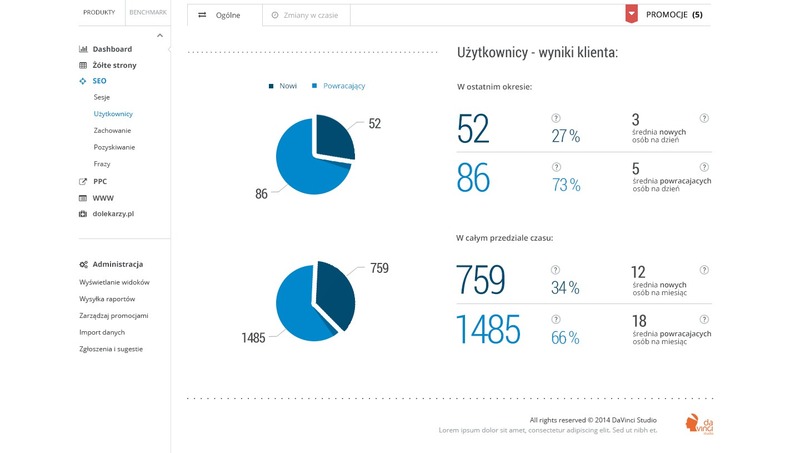 PURPOSE OF THE PROJECT: To support the creation of a Poland-wide database of potential blood donors who voluntarily declare to help and donate blood. SOLUTION: Thanks to this project, the public awareness of the need for help in the form of blood donations is considerably increasing. Especially given that the number of people who can donate blood is decreasing due to the aging of the population and the disqualification of donors as a result of allergies, civilization diseases or the use of specific drugs. By landing page, potential blood donors can register in the blood donation base and search for the nearest place in which they can donate their blood. The project is also an important source of knowledge about the action, process and donation need.